We have added a rare complete koban-sized set of shunga prints to our gallery. The storage folder shows an innocent image with two young girls (probably geisha trainee aka. 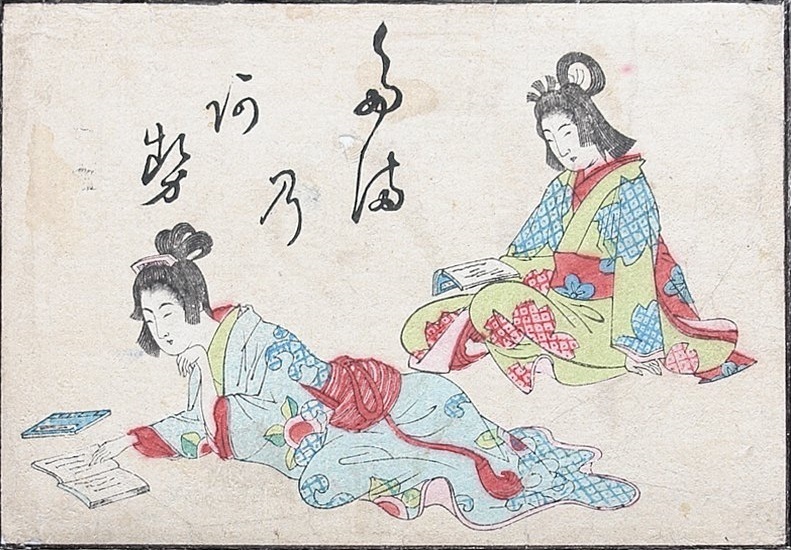 kamuro) reading instructions in shunga books. The 12 subsequent images reflect the world they will eventually enter. The small prints are luxuriously printed with mica (pearl powder), silver and gold pigments and embossing. With the inevitable “Meiji red” pigment, and the women depicted in a somewhat whiter skin color as their male counterparts. 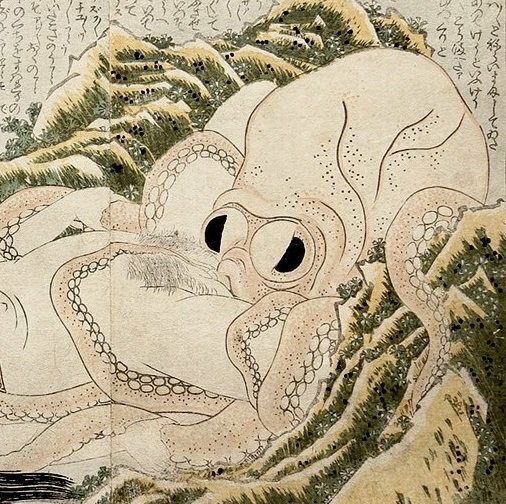 Click HERE for more sensual art from the Meiji period…!!! This set will be available in our gallery very soon for Euro 1350,- but if you decide to buy it now we can offer it at Euro 1050,- (SOLD)..! !